The Sandbox test server is now live! If you have applied to participate, please check your mailbox - players accepted for testing have been sent instructions how to join the tests. *Any information sharing from Sandbox server (live broadcasts, video reports, etc.) is prohibited without coordinating it with Wargaming representatives. You can consent a publication of such materials in the special thread on the Sandbox forum. Sandbox is a limited-access server for testing new balance prototypes in World of Tanks. With its help, we plan to test variants of new balance, and select the most effective implementation that meets all specified requirements and is approved by the game community. The primary goal is adjusting the balance for top-Tier vehicles. Only Tier X vehicles will be tested during the first iterations. Next, the approved solutions will be applied to vehicles of lower Tiers. Important: The changes tested in this iteration are not final, and as such they are not bound to be applied to the standard game servers in their current form. The changes that will finally be implemented will depend on the information collected and analysed throughout all iterations. Some of the main game mechanics will be changed on the Sandbox server, in order to achieve the balance goals listed above. Armour-piercing capacity decreases more significantly depending on the distance, in order to increase the importance of armour in the game. Shooting from afar will become less effective - thus, players will be encouraged to engage in close-range combat. They will have to fight more actively and manoeuvre more in order to cause damage to enemy vehicles. 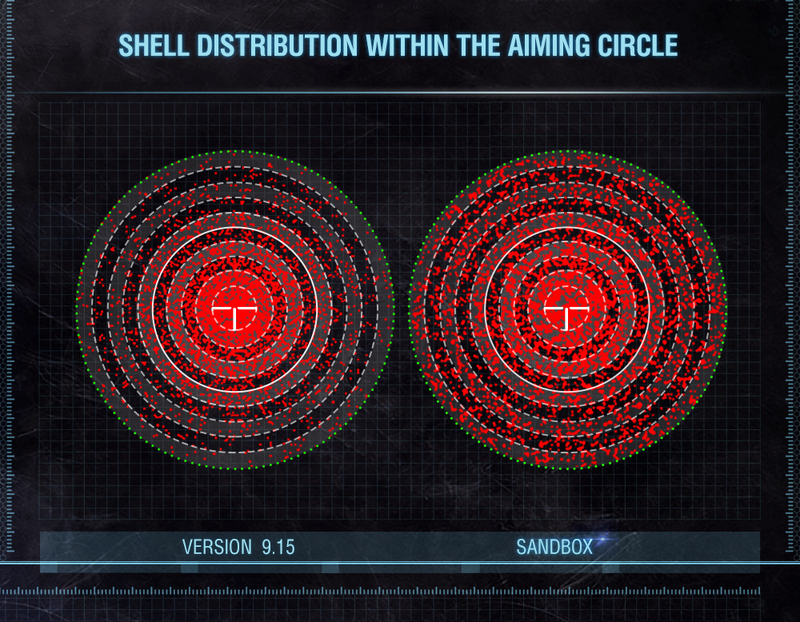 Changes will be made to HE shells as well: the amount of damage caused with this type of shell will be decreased in most cases, but the dispersal of HE shell fragments (the radius of splash) will be increased. In short, SPGs will be dealing less damage to single targets, but their attacks will have a better chance of affecting multiple targets at once.